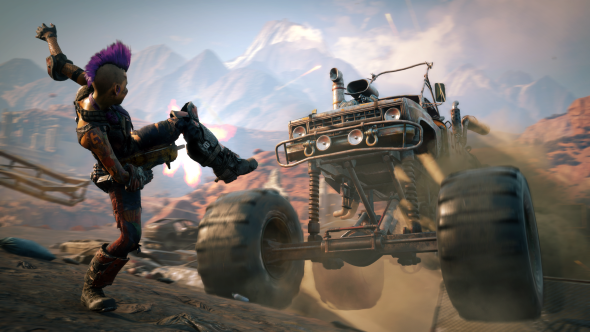 Id Software creative director Tim Willits has confirmed that the studio’s upcoming Rage 2 will not have loot boxes, but may embrace the ‘games as a service’ model. It’s still a long wait for Rage 2, so in the meantime check out the current best FPSs on PC! He then added that they would talk more about this closer to the game’s release, which we learned earlier this week would be in 2019. The most recent open world title to include loot boxes was Warner Bros’ Middle-Earth: Shadow of War, and it received a lot of criticism for doing so. Last week the game finally removed all in-game microtransactions. We should know more about Rage 2 very soon, as Bethesda will be showing the game at E3 next month.